Black Panther Vol. 1: A Nation Under Our Feet, propelled by interest due to the movie's release, moved from second to first in reorders for trade paperbacks, followed by its second volume. There were seven Black Panther titles in the Top 25. Image's Saga Vol. 8 trade paperback, the top graphic novel for December, was the top reordered softcover for the six weeks running, was third. The new edition of DC's New Teen Titans Omnibus Vol. 2 was the top reordered hardcover and item overall by dollars. It went on sale February 21. Dark Knights Rising: The Wild Hunt #1 —we're going to have to be careful on these Dark Nights/Dark Knights spellings — was the top reordered comic book. It came out on Feb. 14. Marvel dominated the advance reorder charts, taking 21 of 25 spots last week. 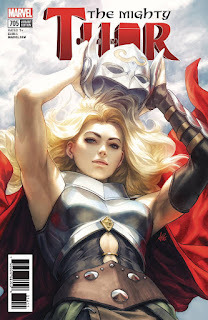 The top advance-reordered comic book and top advance-reordered item overall was the Artgerm variant of Mighty Thor #705. It's expected to go on sale March 21. 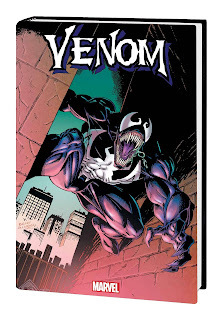 The top April-shipping comic book was the C2E2 Venomized #1 variant, due on April 4. DC's Curse of the Brimstone #1 was the next highest April shipping comic; another April 4 title. No hardcovers on the list this week, but the top softcover is Cable Revolution. It'll ship April 25. 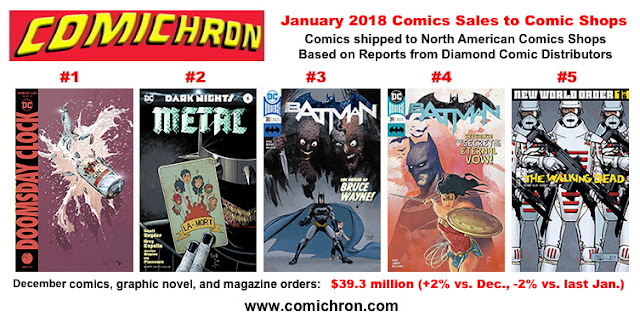 We've seen enough reorders and advance from the past few weeks from Diamond Comic Distributors to be able to collate some information onto pages for February 2018 and March 2018. A page for April 2018 has also been started. Check them out for a further glance at the future. I'll be appearing at Emerald City Comic Con this weekend; my schedule is here. Be sure to say hi! 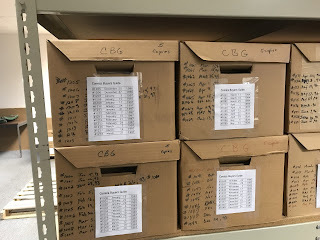 I wanted to share the news here of a successful comics history rescue operation -- though unlike some of the others I've undertaken, this one's a bit closer to home. 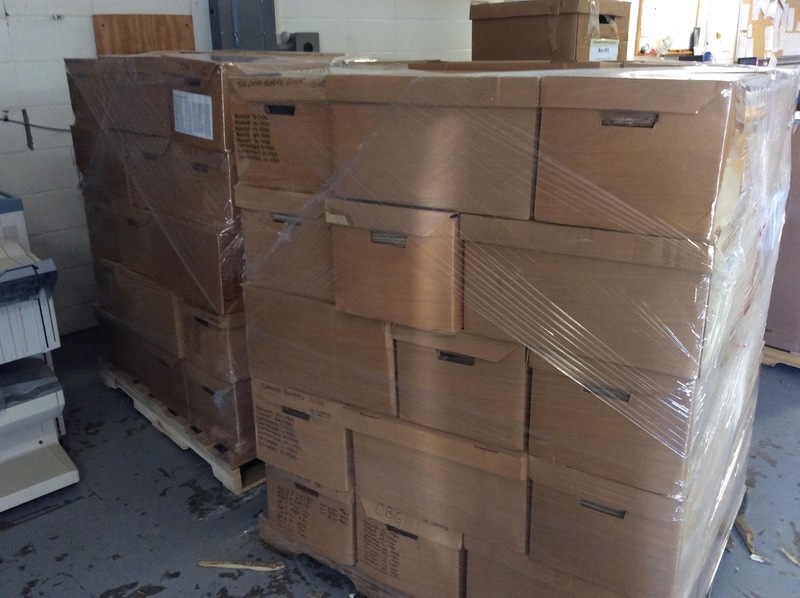 Krause Publications, which for years published both Comics Buyer's Guide and Comics Retailer, is closing its Iola, Wis., office in March, moving the remaining personnel to a larger city. 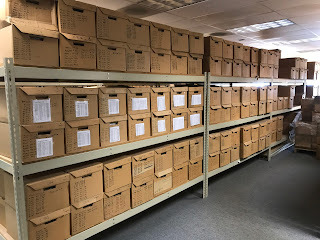 But as my fellow former employee Maggie Thompson learned last week, the file copies of most of the magazines were to be discarded, as well as a significant portion of the library materials. For Comics Buyer's Guide — read my history of the magazine here — this took in a huge number of issues. More than 5,000 copies, between two and ten each of every issue from #482 in 1983 to #1699 in 2013. This amounted to 105 cases weighing more than two tons — all destined for destruction. On that short notice, I reached out to Buddy Saunders, whose MyComicShop site has long been the only site I know of to stock individual CBG issues in any depth. Of anyone, I knew he could preserve such a large collection and get them back into circulation for those interested. Buddy was as eager to save the copies from the recycling bin, and dispatched a truck. 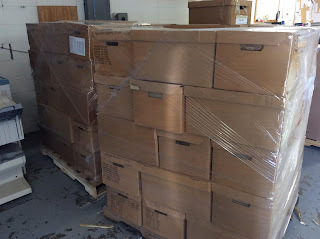 The next hours were a whirlwind, as the issues were palletized; it all made it onto the truck last Friday, with literally five minutes to spare. I'm informed all three pallets have this hour just reached him in Texas. The issues will take some time to process, but eventually every Krause issue will be available from MyComicShop in some depth -- something which was never the case for anything but the most recent issues while the magazine was running. 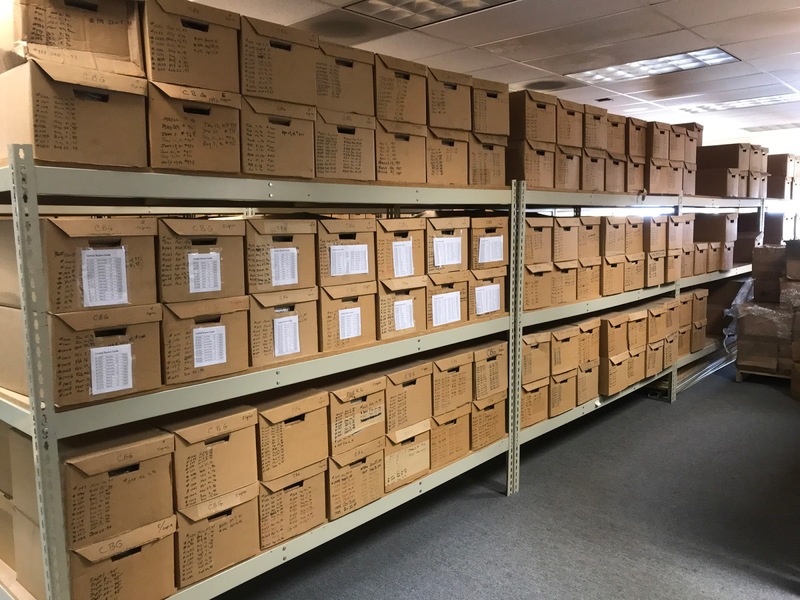 This is important for the history of the business, as no issues before 2002 were ever digitized, nor can digital versions of those issues be legally distributed. Rights issues prevent that. MyComicShop also received many Comics Retailer magazines, while Krause additionally donated the entire distributor catalog library — running the gamut from Diamond and Capital to Andromeda, Big Picture, Friendly Franks, and Styx — to Comichron. I've already found things I can use in future reports. Our thanks go to Buddy and his staff for helping to make this happen — and to Krause for working with us to save these materials. It's sad seeing the company leave Iola, as it brought both me and Maggie to the area — but I think it means something that the comics magazines will still be around. As I told one of the staffers, "Comics fans save magazines. That's what we do." At the ComicPRO retailers organization meeting in Portland, Ore., this morning, Diamond Comic Distributors announced a number of changes to its Previews catalog, as well as an innovation long rumored to be in the works. The innovation first; Diamond, which has long had an online version of its Previews catalog at http://www.previewsworld.com, has developed Pullbox, a system for handling what has been handled store-by-store for years: the pull-and-hold subscription folder. By offering a cloud-based software, Diamond makes it possible to computerize and centralize that process, with preorders managed online and orders fulfilled by the local shops. 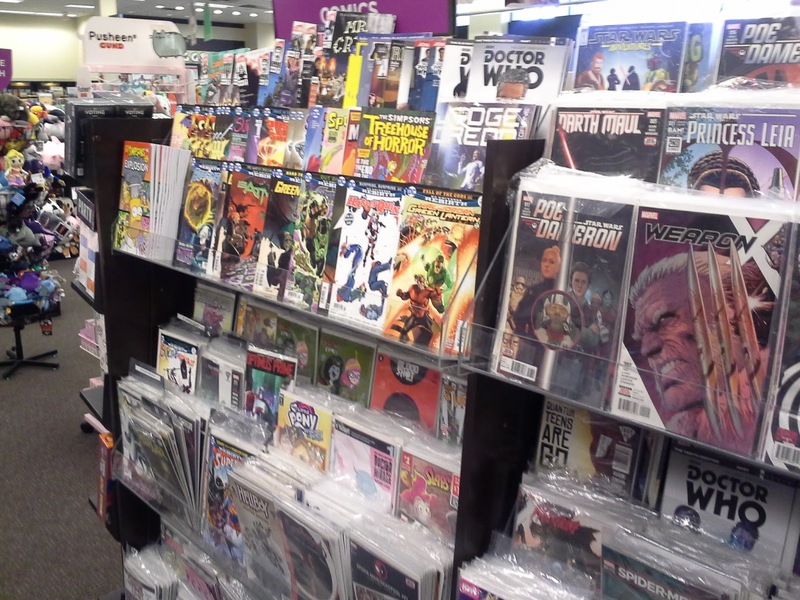 The software will allow customers to Previewsworld's complete item database, placing orders with their local shops as seen in Diamond's Comic Shop Locator service. On the retail side of Diamond's site, shops will be able to set their ordering guidelines, requirements for approval of subscribers, and integrate the information with their point-of-sale software programs. The system will launch this spring, Diamond reports, and will be demonstrated at the Diamond Retailer Summit in Chicago April 4-6. It's a critical piece of infrastructure the business has long been missing; as any visitor to a comic shop over the last thirty years knows, subscriptions are a major part of the business and key to its success, but systems were far from uniform or as streamlined as they could be. Input from retailers would have been key in making something like this work, and it sounds from the announcement that Diamond sought and received plenty of it. On the Previews side, magazines and prose books, once kept in their own subsidiary sections, will be merged into the comics/graphic novel listings in the April edition. Comichron does not expect to see any changes in the Top Sellers charts because of this; comics, magazines, graphic novels, and books have long had their own category codes on the retailer end, and these continue to exist. A new section for manga will be started; again, I do not expect this will result in them being broken out from graphic novels in the charts, though Diamond does monthly release a manga-only sales chart. The non-print material will all be on the other, "flip-side" of the catalog. 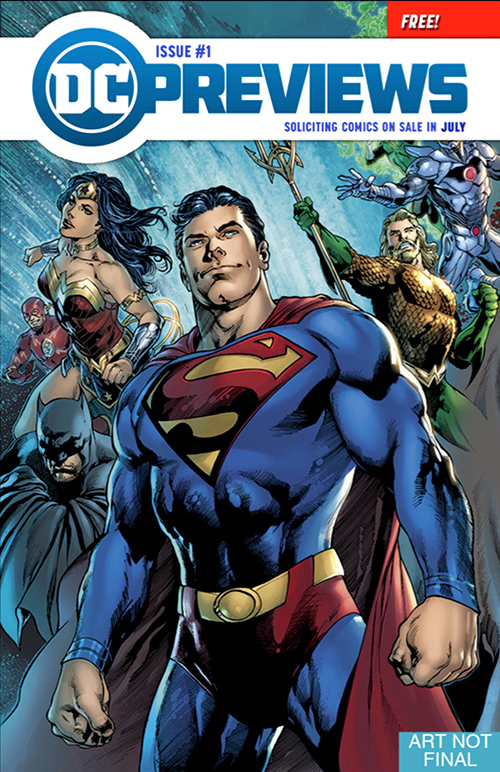 DC will be leaving the main catalog in the May edition, gaining its own separate catalog as Marvel has had for more than 20 years. The magazine will be free of charge to Previews purchasers, who will also continue to receive Marvel's catalog and Image's Image Plus magazine. Finally, a digital version of the catalog through a special app will be made available in May. Read more about the changes here. UPDATE: In later news from the event, it was announced that Dynamite would gain Premier Publisher status, moving to the front of the catalog. Dynamite had one of the better years for publishers in 2017, according to Comichron's measuring. Boom was also elevated to that status. 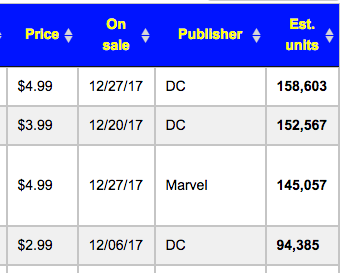 The House of Secrets: The Bronze Age Omnibus from DC was the top hardcover for the second week running. The $125 volume went on sale on Feb. 7. The top Feburary-shipping comic book in reorders last week was the top reordered comic book overall: the Swamp Thing Winter Special, featuring the last story by the late Len Wein. A Feb. 7 release, the issue was marked as sold out at Diamond as of the report generated on Feb. 14, so it must have sold out early in the week. 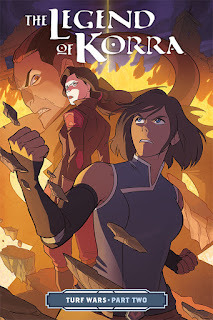 A second printing is planned for March 21 and was the #3 advance reordered item this week. 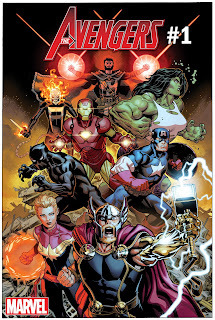 The top advance-reordered comic book and top advance-reordered item overall was Avengers #684 by Marvel. It goes on sale March 14. After a week with no hardcover on the list, the top advance-reordered hardcover was also Marvel's: the big Venomnibus Vol. 1, a $100 edition that ships on June 20. And for the first time in a while we've got a softcover back on the list, and it gives Marvel the trifecta: It's the new printing of Eternals by Neil Gaiman, due out April 11. 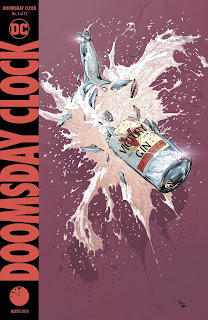 With Marvel's Legacy event, attention turned last fall to numbering on comics — and we released our updated and exhaustive legacy numbering survey, looking at the highest-numbered North American comic book series across time. 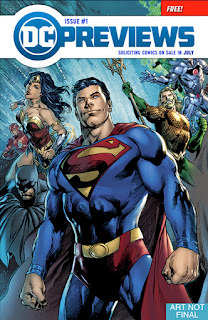 A few things have changed since then: several of those Marvel titles had already ended or have had final issues announced, and DC restored the numbering on its longest-running titles in advance of April 18's Action Comics #1000, which is also getting a hardcover companion volume, and Detective Comics #1000, which is still some time off. Now, this week comes two items of significance for legacy numbering industrywide; first, Marvel began rolling out its plans for its "Fresh Start" event launching in May, essentially restarting its renumbered series yet again, starting with a new Avengers title. 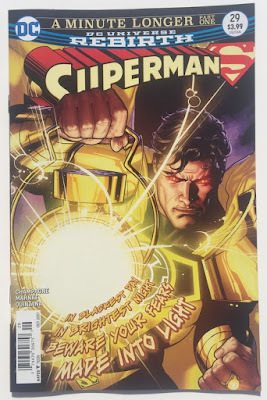 IGN reported that Executive Editor Tom Brevoort "did express an interest in keeping the legacy numbering around in subordinate fashion for select titles, but ultimately he favors keeping things as clear and unconfusing as possible for readers." It's a short run for this round of renumbering, and a reminder of the different and conflicting demands on numbering in general. 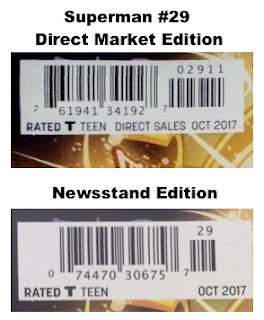 While the benefit from legacy numbering is one that accrues over long periods as retailers don't have to keep starting new subscriber files on titles, the greatest interest in continuous numbering comes from the aftermarket, which values ease of identification and which publishers receive benefits from less directly. Publishers see direct benefits more often from round-numbered anniversary issues — which is why we've seen publishers like Marvel and DC do restarts only to hop back for the anniversaries, as in the DC case above. 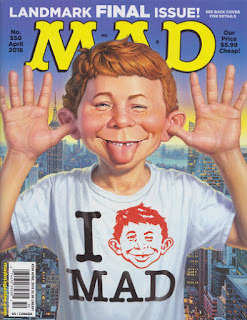 In connected news, somewhat surprisingly, DC sources announced that Mad would mark its move to the West Coast with a new #1, ending the previous series with #550, the April cover-dated issue. For decades, Mad's status as a magazine, selling mostly on newsstands and through subscriptions, tended to isolate it from Direct Market numbering tactics; issue numbers aren't of importance in magazine market orders, and in fact the final Ingram order form included no issue numbers at all. But with DC's pullback from the newsstand, the Direct Market's influence on the title would presumably increase. Mad had the clearest claim to being the longest-running current series with unbroken publication and numbering; the next candidate on the list, Heavy Metal, didn't have ordinal numbering for many years, and its issue count contains a number of special editions not part of the series' regular run. So it's a race then between various Archie digests and Spawn, now in their high 200s. Without knowing the Marvel situation — or DC's plans for its legacy titles over the next few years — it's unclear what our next five-year survey will look like in 2020. We can say that 2015's highest-numbered issue, Walt Disney Comics & Stories, just had its 741st issue come out from IDW. It's been a while since we added some more Title Spotlights featuring all the postal circulation data associated with a specific title — so with the movie releasing, this seemed like a good time to take a tour of Black Panther's various titles with circulation data. 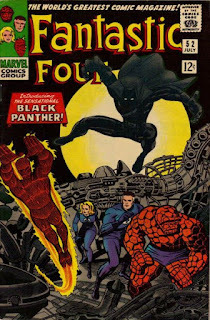 Black Panther's debut in 1966's Fantastic Four #52 sold 329,000 copies, according to Marvel's first postal statement ever for that title; the 2016 series launch nearly matched that, with at least 287,000 copies sold by the end of the first year. In between, Marvel published postal circulation data in three of its Black Panther series; that and more is now online at Comichron. You'll find it here, starting with the first series for which there were postal filings: Black Panther, Vol. 2. It's also the longest-running series to date, running from 1998-2003. Black Panther Vol. 3 from 2005-08 and Vol. 4, published from 2009-10, finish out the data collection. 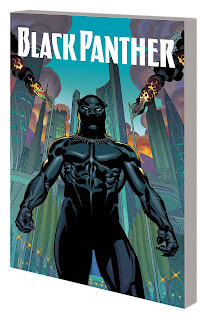 The largest amount of Black Panther data on the site, of course, is in our monthly sales reports; use the search box atop any page to find more. 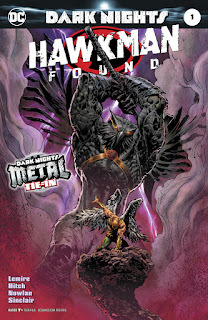 The top reordered comic book was DC's Dark Nights Metal #5, which went on sale January 31. The top Feburary-shipping comic book in reorders was a Feb. 7 release, the Swamp Thing Winter Special, featuring the last story by the late Len Wein. The issue is sold out at Diamond. 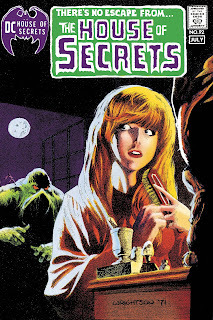 The House of Secrets: The Bronze Age Omnibus from DC was the top hardcover. The $125 volume went on sale on Feb. 7. Image's Saga Vol. 8 trade paperback, the top graphic novel for December, was the top reordered softcover for the fifth week in a row. 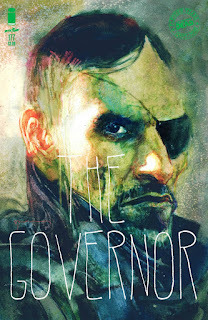 The top advance-reordered comic book was the Bill Sienkiewicz variant cover to Walking Dead #177, which goes on sale March 7. The Sienkiewicz variants have appeared a lot on the reorder lists of late; the variant cover for #178 is the top advance-reordered comic book for April, due out on the 4th. Amazing Spider-Man #797 was in second place overall. The March-slated Oblivion Song by Kirkman and De Felici Collector's Edition was third among advance-reordered comics; Diamond informed retailers this week that due to unforeseen circumstances, a portion of the copies would not be available on March 7 but would ship soon afterward. No hardcovers or softcovers of any kind in the advance reorder list, as happens sometimes. The book channel, however, sells a majority of the industry's graphic novels — and a significant player in that has announced a large number of layoffs. CNBC reports that Barnes & Noble confirmed a significant number of layoffs today. "Its 2017 holiday sales fell more than 6 percent to $953 million, when compared with the year prior. Same-store sales declined 6.4 percent for the holiday period, while online sales dropped 4.5 percent." There's nothing in the statement or article suggesting the company may alter its purchasing strategies or product mix; we'll see what impact this has, if any, on the graphic novel business. Barnes & Noble's rivals in the book channel, Amazon and Wal-Mart, already have their graphic novel sales tracked by Bookscan.